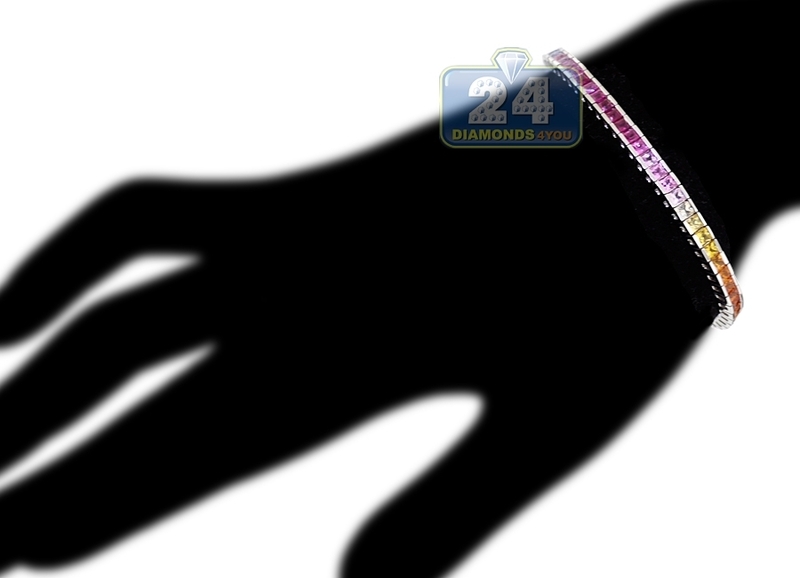 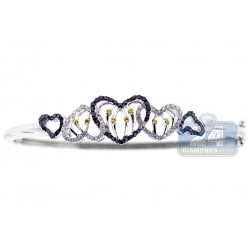 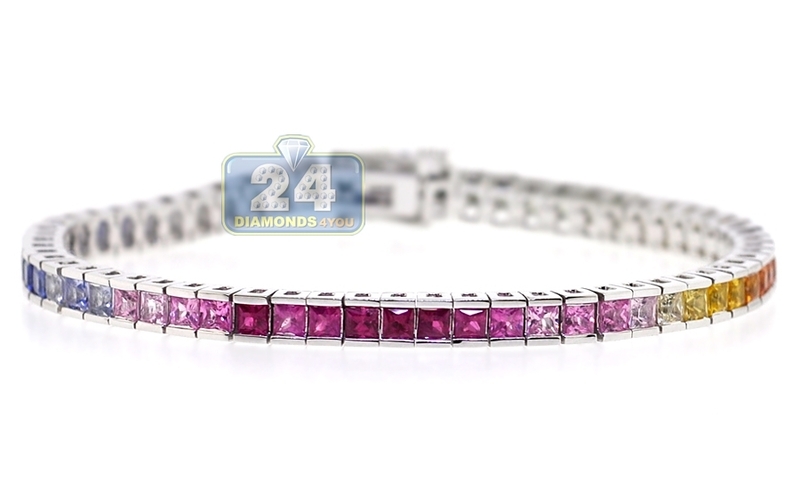 Sweet, stunning and dazzling with genuine gemstones, this tennis bracelet has extravagant look for the sophisticated lady! 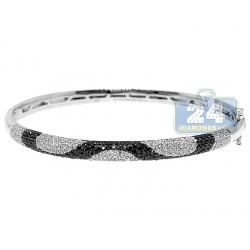 It is handmade of lustrous 14k white gold, and professionally channel-set with 7.33 carats of genuine multicolored princess-cut sapphires. 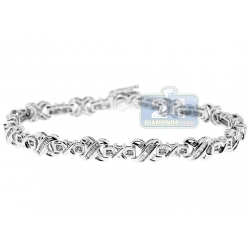 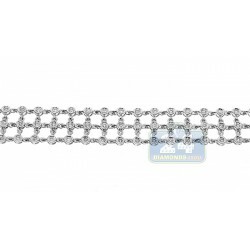 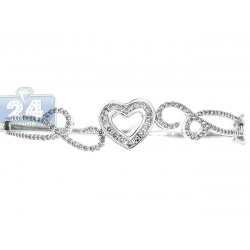 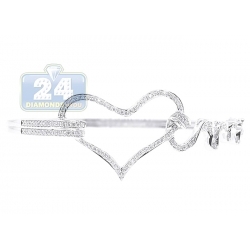 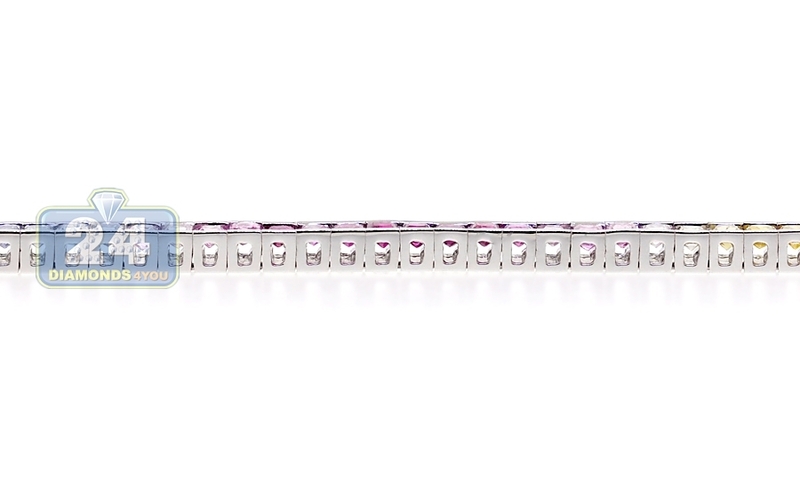 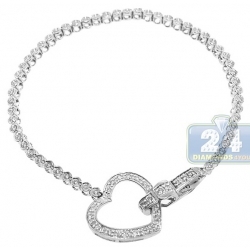 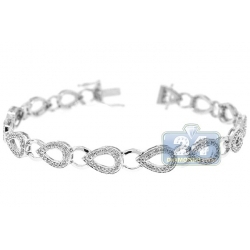 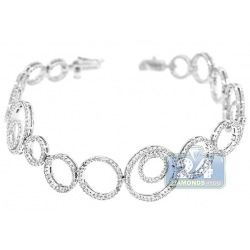 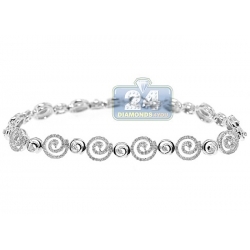 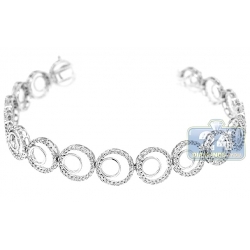 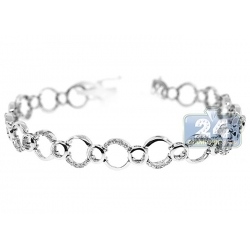 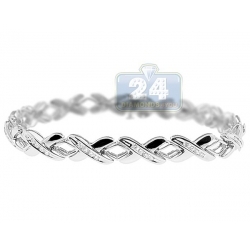 Our women's tennis bracelet measures 7 inches in length and 4 mm in width. 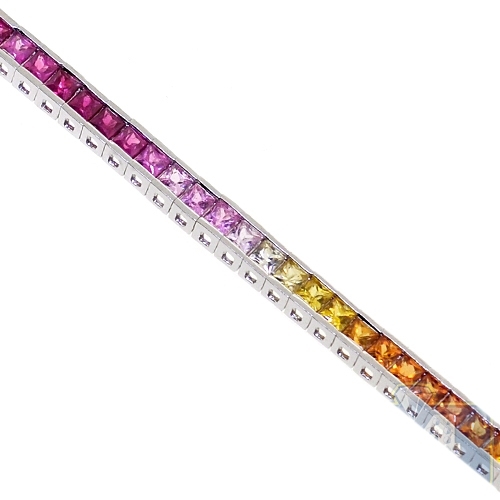 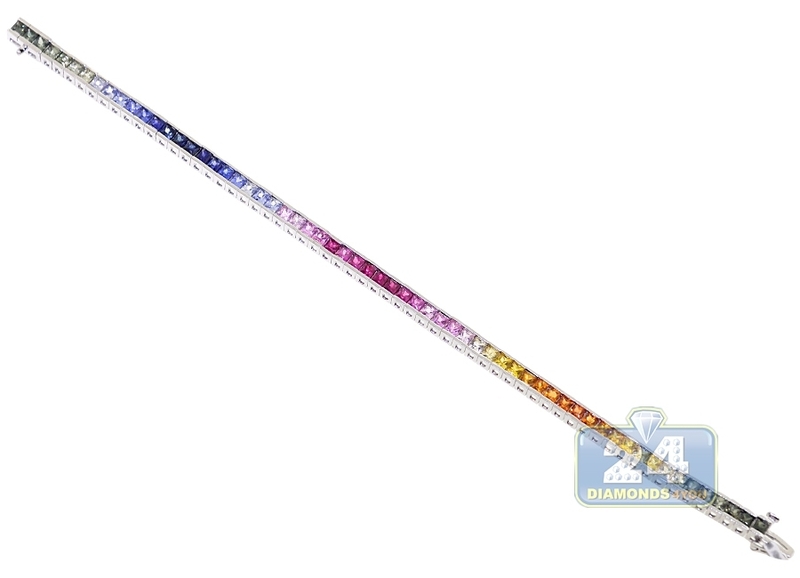 You don't need a special occasion to surprise yourself with this gorgeous multi-colored tennis bracelet!